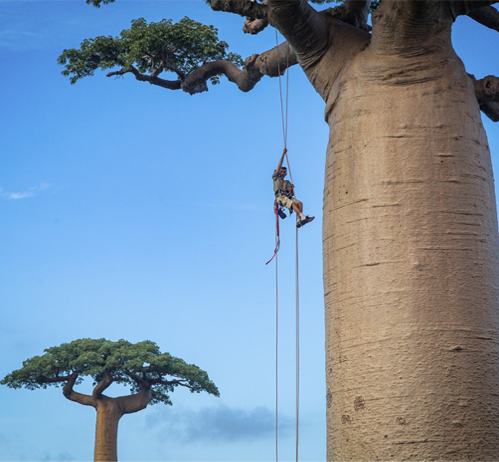 The West of Madagascar is the motherland of Baobabs, which are falsely considered African trees (only one species the Adansonia digitata occurs on the continent). Two species are found in Australia, and seven in Madagascar! Among them are the Adansonia grandidieri or the Adansonia rubrostipa. In the North of Morondava, some of these giants seem to be playing pranks, posing as male and female, or intertwine like lovers. 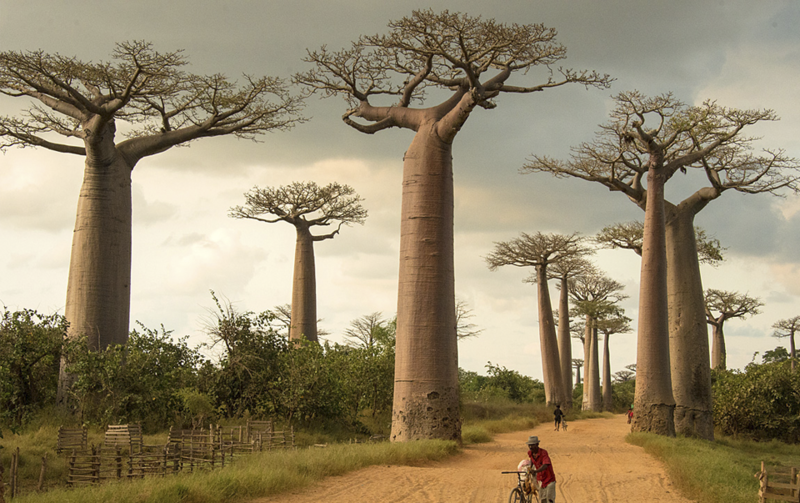 The Allée des Baobabs, about twenty kilometres from Morondava was elected first Natural Monument of Madagascar. The baobab has an exceptional lifespan, but one of its most astonishing features is its shape: this is the famous "upside-down" tree; some also call it the roots of the sky. According other to the Madagascar’s legend, it is said that the Gods were offended by the pride of this great vegetal column and decided to turn it upside down, so that it would show more humility. In a country like Madagascar, the baobab could not be anything else but worshiped. 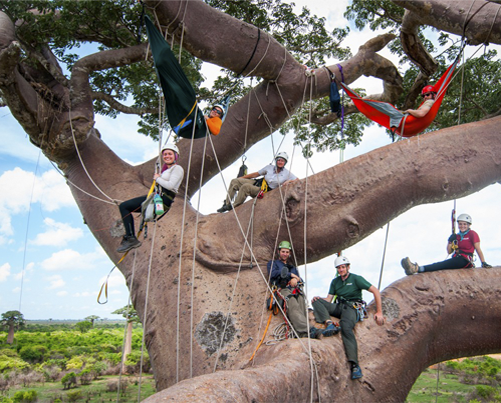 The Giant sacred baobab of Morondava is the perfect example. 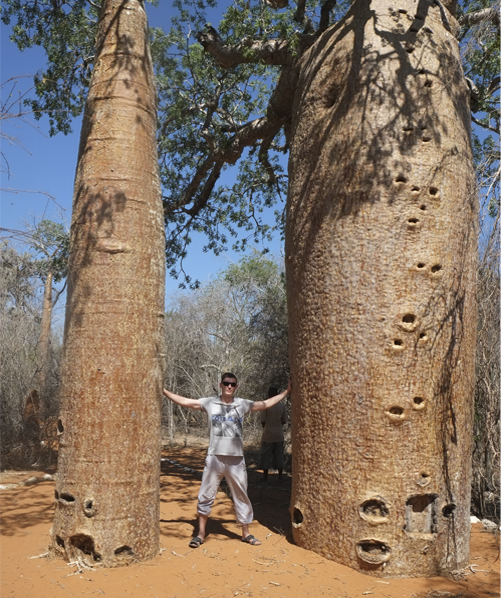 The baobab is also used in daily life. 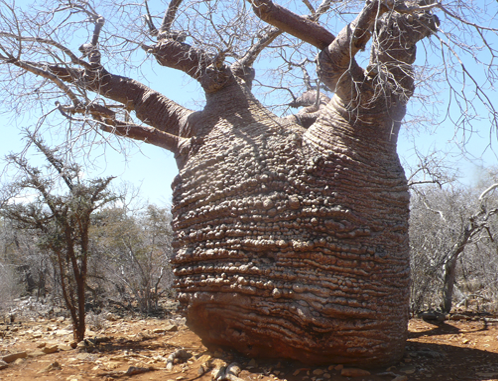 Nothing is wasted in the baobab: its bark is used to make roofs and ropes, its leaves are used for their medicinal virtues, the flesh of the fruits is used to make juice, and the seeds are pressed to extract cooking oil.